Versatility - A true swiss-army knife, useful in all activities, the open is the cross-over of the seas. 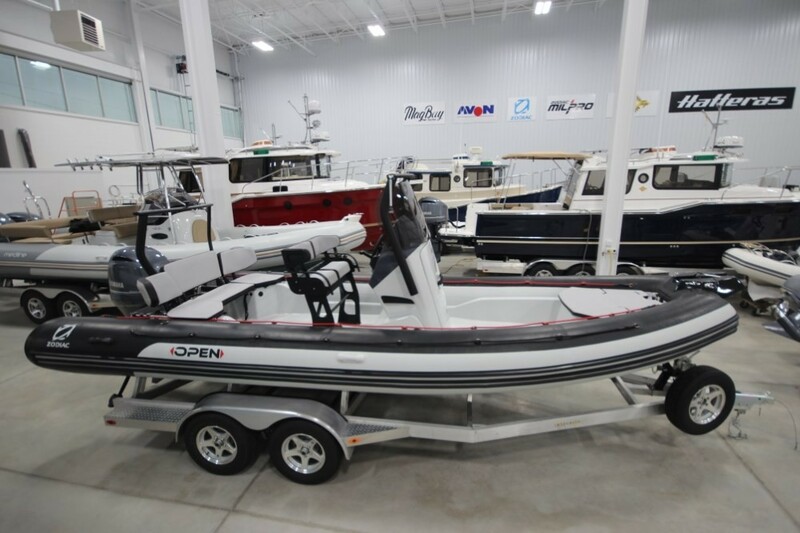 The versatility of this rigid hulled inflatable has been thought out in every detail that you can live your passion for the sport. Performance - With excellent stability at sea thanks to its v-hull and optimized deck plan for better movement onboard, the open offers exceptional cruising. It is the perfect balance between performance and comfort. You can enjoy any day at sea with family and friends whatever your passion may be. Storage - The optimization of storage areas on the deck is accessible through the movable console, offering a more-than-generous space for all your gear (skis, fishing, diving, security).